WHAT DOES THE PERFECT SOCIAL MEDIA POST LOOK LIKE? WANT POST TEMPLATES FOR EVERY SOCIAL NETWORK? STOP wasting time guessing at what works & searching all over the internet only to find outdated resources. Your time is valuable, and you need results NOW! Along with the templates for each social network, you get The Perfect Social Media Post webinar. Even if you've been frustrated by low engagement or overwhelmed by the constant changes in social media, you'll see immediate improvement after using these templates & watching the webinar. With the perfect post templates and webinar, you'll be amazed at the outstanding posts you can create. Because in addition to the post templates and webinar, you also get my top 3 best-performing posts from each social network. You won't have to guess at what works: you'll have it instantly and can use it for your own brand. Need to hire a social media intern or staffer? Provide them with the Perfect Social Media Post templates & webinar and just one hour they're social media-ready! 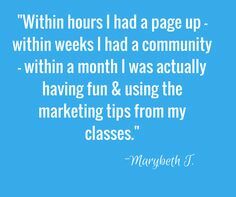 You and your team will create compelling social media posts that resonate with your community. Posts that get Likes, Shares, and Comments. Tweets that get re-tweeted. Videos that get shared among your fans and followers. What Posts Can You Create from These Templates? How to create irresistible posts that get clicked and your fans can't resist sharing. Learn the perfect combination of character length, links, and hashtags for Twitter. Why do some pins go viral? They use this "secret" formula to get a crazy number of repins. Pick the template you need for your best social network. Feel free to copy my best-performing posts, or change them up for your brand. Even if you're not comfortable with social media or dread doing it, you'll make your brand look good in only a few minutes a day. Social media posts made so easy, you cannot fail. Marketing your business is tough. It's a noisy world, and the pressure of coming up with compelling posts that get noticed is challenging. You need an EZ button that guarantees your success even on those days you feel brain-dead. I'm a small business owner, wife to a husband who's a small business owner, a mom of two teenagers, a daughter, sister, friend, and caretaker of . . . everyone. I needed a way to create outstanding social media marketing for my business, yet still have time for product development, accounting, customer service, and family. You're Going to Need Another Post for Tomorrow . . .
We all need fresh content for social media marketing. It's not a one-and-done kinda thing, is it? What's the SECRET for Getting Results on Social Media? Listen to the .mp3 audio anytime, anywhere: it's great to listen to while you workout, in the car, or on your computer. Get up close with each social media post by reviewing the actual slide deck I use in the webinar. See each of the 24 top-performing social media posts up close: copy them, be inspired by them, and use them as your own swipe file! I WANT THE SLIDE DECK! Get all EIGHT templates: one for every major social network. No matter which social network you decide to take on, you're ready and so is your team with these templates. Normally $297.00, I'm making it available for only $7 to new subscribers to the Perfect Facebook Post template. This is a limited time offer, and you will not see this screen again. Socialmediaonlineclasses.com offers online training on every major social network, includes certification, and 1:1 coaching every month for when you get stuck and have questions. 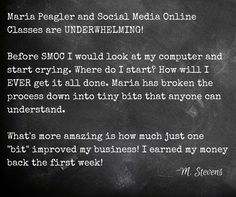 Maria Peagler is an award-winning author, publisher, and technical trainer, serial entrepreneur and instructional designer. The titles she's most proud of are mom and wife of 25 years. She enjoys watercolor painting, quilting, and hiking in the mountains of Georgia. Why Is the System Only $7? 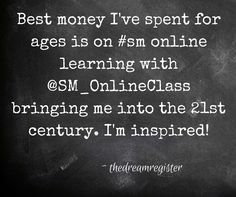 Because I've found many of my clients were skeptical about Socialmediaonlineclasses.com before they enrolled. They've been scammed online. They're unsure if they'll get value for their money. I totally understand, and I believe in paying it forward. 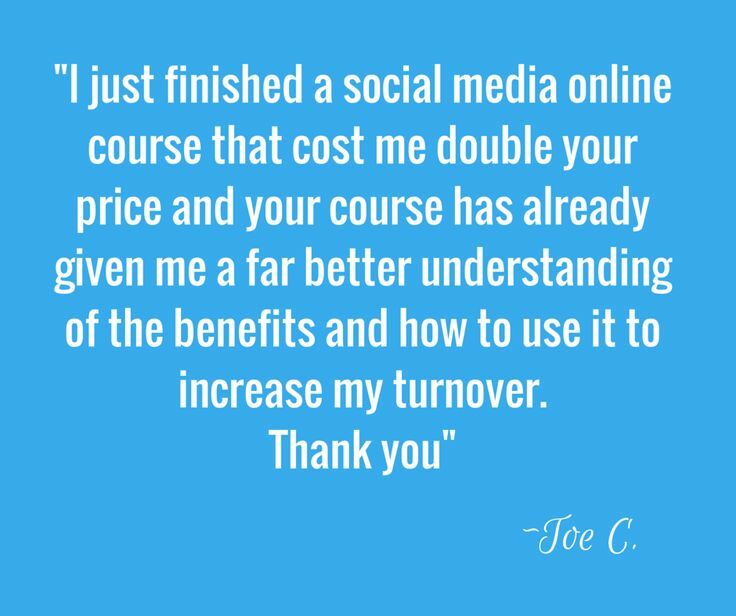 So, this is my way of giving you incredible value for a small fee, in the hopes you'll see the type of helpful training we provide for every major social network at Socialmediaonlineclasses.com. In short, I'm hoping you'll be so WOWed you can't wait to become a member. The Perfect Social Media Post System is yours to keep, after you pay the $7 fee. It's yours forever. You can review it as often as you need to, watch the video, rewind, fast-forward, on your laptop, desktop, smartphone or tablet. The infographic is yours to keep, as is the spreadsheet, mp3 audio and slide deck. It's all yours, for just $7.​ That's less than a meal at a fast-food joint (and it's good for you!). Small business owners (brick-and-mortar or online). Social media managers & consultants. College professors at major universities. Raise funds on Kickstarter w/ content. Promote your latest product, sale, or service. Stay relevant by showing your social media skills & fresh content. Land that perfect summer internship. Teach your students the most current content creation tactics. You are fully protected by our 100% Satisfaction-Guarantee. If you aren't delighted with your Perfect Social Media Post system, for any reason, just let us know within 30 days of purchase and we'll send you a prompt refund. Can I use this on my mobile device? Yes, you can use the system on any device: desktop, laptop, tablet or smartphone. You do need to be connected to the internet to watch the webinar. Then you'll be the "hero" who figured out how to make your boss look good online. And only you will know it only cost 7 bucks. What if I don't use Facebook? This system covers ALL major social networks, not just Facebook: LinkedIn, Twitter, Slideshare, Pinterest, Instagram, YouTube, and Google+. You'll be ready no matter what social network you need to use. How long does the system take? The webinar is 64 minutes to watch. How long it takes you to create your posts depends on your skill level and experience. You'll see immediate improvement in your results. Will I need to buy additional apps? No. I use only the social networks themselves. If you need to create images for social media, I recommend a free tool called Canva.com. If you watch the full webinar and use the templates, but it's still not for you, I'll refund your full purchase price within 30 days of purchase. No questions asked. P.S. These are the actual posts I've created over the past year that have gotten the best results. I spend a LOT of time perfecting social media: not just doing it, but in measuring the performance of each post, identifying what content resonates, and discovering which post types people Like & Share the most. I spend all that time in social so you don't have to. I'm giving you the ULTIMATE SHORTCUT by allowing you to be a social media ninja in just one hour! I've been a technology trainer for over 25 years, and I specialize in making the complex simple & easy to understand. The Perfect Social Media Post system will change your life (and make your daily routine far more enjoyable! ).